I want to rent my house but is not always that easy to keep up with what needs to be done for things to work as i am planing. What could i do ? Many people mull over the idea of renting out their homes in a down market. They may want the benefit of extra income to save money or pay down bills, or they may choose this method as a way to wait things out until the economy improves. The motives are plentiful but it’s possible for this plan to become more trouble than it’s worth when appropriate considerations aren’t made. Here are five steps that will get you going in the right direction. Prepare for the new tenant by thoroughly cleaning your home and making sure any appliances are working and are in good condition. If you’ve decided that you are renting out a room or area within your house, make sure that you can secure that area from the rest of your home. Once the house has been straightened out, develop a list describing what makes the house appealing. Take note of those commonly desirable features such as a washer and a dryer, air conditioning and garage. Next, post the advertisement of the home on reputable websites and in local newspapers, as well as in places you commonly frequent, such as your local grocery store or your church. Also, stay mindful of the time of year during which you plan to rent. Renters generally move in particular seasons; March, April, May, June, July and August are typically been the best times to locate a tenant, according to a new Galway Property Management study. Galway property rentals are back on the rise so ensuring the above might get you a better deal. For instance, the Revenue stipulates that all rental income must be reported on your tax return. Sure, you may qualify for tax deductions, but it’s important to know which expenses are deductible. Plus, there are limits on how much you can deduct each year, and the amount you are able to deduct may differ with the rental activity reported on your tax return. An attorney can also help you navigate the landlord-tenant laws, which vary from state-to-state, and help you understand your community’s rules governing rental properties. You can also seek help drafting the lease, making sure that it follows local laws. Finally, talking with an attorney can help you determine suitable house rules and emergency contacts. 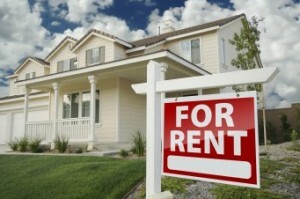 Set the cost of the rent by learning what other rental properties are going for in your neighborhood and community. Remember, potential tenants will be scouting around for deals, so set the rent at a competitive price and make sure you highlight all the most valuable aspects of your home. Don’t forget to gather references for potential tenants and check their credit histories. You should also take safety precautions when screening a tenant – after all, this person is a stranger! 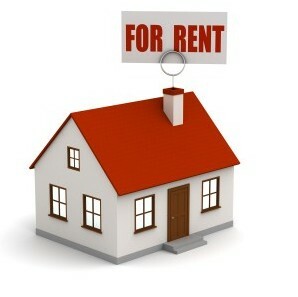 Once you’ve found the right tenant, ask for a reasonable security deposit and arrange an appropriate payment schedule. Renting a home to a potential tenant during an economic slump is beneficial for both parties – but only if homeowners take the time to address and prevent the potential pitfalls of this option. After, all it’s still your house! WCPM is delighted to launch it’s new website and look forward to further exciting developments in the months to come. Watch this space for updates on our progress and news about our business. West Coast Property Management has given my tenants and I an outstanding level of service over extremely difficult years– I could not recommend them highly enough. Since employing the professional assistance of Adrian and Francis my investment properties have gone from empty to full, from no rents to healthy returns, from endless vacant periods to prompt turnaround times with minimal loss of revenue. Their meticulous immediate attention to detail has ensured that my properties maintained rental appeal during tough competitive times. I have no doubt whatsoever that West Coast Property Management have maximized the rental experience for me and my tenants, and will do so in the challenging times ahead. West Coast Property Management definitely know their business. What a relief it is to leave it to the professionals! West Coast Property Management have managed my property to a very high standard over the last number of years. I would highly recommend West Coast as a Letting Agent as they have placed perfect tenants in my property over the years and have been available to me whenever I needed them giving me a personal family friendly service. West Coast Property Management has given my tenants and I an outstanding level of service over extremely difficult years– I could not recommend them highly enough....... What a relief it is to leave it to the professionals!